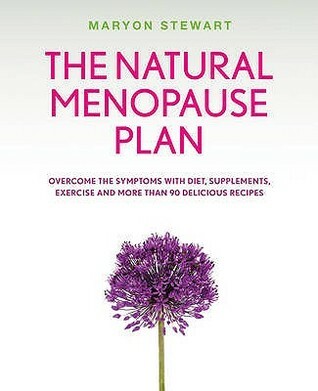 A well balanced book covering the causes and symptoms of menopause, natural remedies, supplements, exercises to help prevent osteoporosis and to keep your heart healthy, etc. The last section is a good selection of recipes. At first I was worried that the recommended lifestyle was going to be all soy, nuts and seeds, and ingredients difficult to find in the UK. It isn't, however, and what I like most about it is that you're free to choose the supplements and diet that address your own particular symptoms, rather than be constrained to following a complete plan. Recommended for fellow Greaders living in a constantly humid environment!Thanks to NetGalley and Nourish Publishers for an ARC. Well, I wouldn't recommend taking on a 10 year old child when you're facing the menopause - this bumpy ride is not meant to be travelled with new parenting challenges! Having done so for 4 years now though, I found this book insightful and a great help in sharing the challenges I was experiencing, with my loving partner. I did not realise that I would face mental challenges from feeling overloaded. Friends and family haven't all appreciated my generosity, kindness and weaknesses, so I felt misunderstood and judged. I have struggled with this transition which can take 12 years to complete (it's still early days for me) but I am now managing to cope and flourish in my new found wisdom. All thanks to those who didn't care enough to care! Great book. Stopped reading this book as it was too much about changing your whole lifestyle to manage the menopause rather than a variety of different ways to try out. It seemed to be that you have to take only the vitamins and supplements recommended to make a difference and was very American in approach. It may be that for some women they have to radically change their whole life but it appeared to be that to get through the menopause you had to stop eating everything you have enjoyed and take a whole load of supplements. Not for me!